Do you feel stressed out or overwhelmed by everything that is happening around you? Do you feel frustrated at work or tired of traffic and tall buildings? Do you still remember the last time that you had fun? When was the last time that you got out of the city to enjoy the relaxing and beautiful nature? Maybe that is all you need to refresh yourself. Perhaps you just need to go somewhere far from the town where you can peacefully enjoy your cup of sweet and hot tea. Maybe you just need to go to a place where the sunrise and sunset will erase all your worries of tomorrow. We hope that you have created the right mental picture that we are expecting you to see. In fact, you don’t have to imagine those things because we will help you make it happen. We offer you a desert trip from Marrakech to Merzouga for four days and three nights. Here's our itinerary for the trip. We will pick you up at Marrakech at 7 o’clock in the morning. We will drive for approximately 2 hours across the Atlas Mountains, specifically the Tizi N’ Tichka Mountains which is one of the highest mountain passes in North Africa. 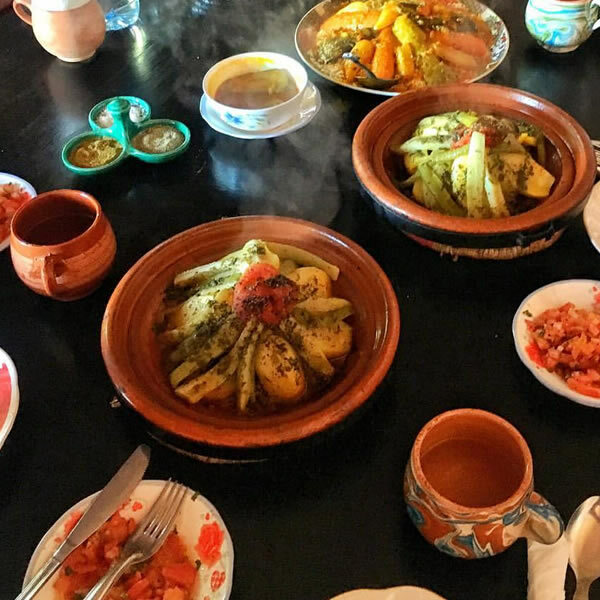 We will stop to fill your cameras with dozens and dozens of photographs of the beautiful sceneries and to fill your tummy with delicious Morrocan breakfast. After the satisfying meal, we will continue our journey to Ouarzazate. We will visit the Ait Ben Hadduo Kasbah which is a UNESCO World Heritage and included in the list of the oldest cities in Morroco. We will also visit the cities film studio where several movies were filmed. After Ouarzazate, we will be back on the road and will drive to Skoura City. In Skoura, we will be able to see many Kasbahs before we head to our hotel in the Dades Valley. As we are on our way to the hotel, you can take as many pictures as you want of the beautiful landscape. After eating your breakfast in the hotel, we will continue our trip to the Todgha City where you will experience the magical Todgha Gorges. It is a peaceful atmosphere located in the heart of the High Atlas. We will then proceed to the Tinjdad village to have our lunch. On the way to Merzouga, we will be able to enjoy the view as we pass through Rissani and Arfourd. You can even take pictures of the dunes. We will arrive at the hotel in Merzouga in the afternoon, and we will rest for a bit. After recharging ourselves in the hotel, we will ride on the back of camels to the heart of the Sahara desert where our tents await. The ride will take up to 90 minutes. Upon reaching our tents, we will enjoy drinking sweet mint tea with the nomads. Aside from that, we can also watch as the sun sets over the dunes of the desert. In the evening, we will enjoy our dinner while listening to Morrocan music by the campfire. We will have to wake up early on our third day so we can enjoy the most beautiful view of the Sahara desert – the sunrise. After enjoying the morning, camels will bring us back to our hotel in Merzouga. In the hotel, you can eat your breakfast and take a bath. You can do whatever you want; you can relax by the pool or just rest in your hotel room. After that, we will go back on the road again and drive to Tazarin and Alnifs city. We will then have our lunch at a town named K’nobs which is well-known for its palm groves. Right after lunch, we will continue our trip to the Agdez village, and we will stay at Tamnougalt Kasbah for the night. 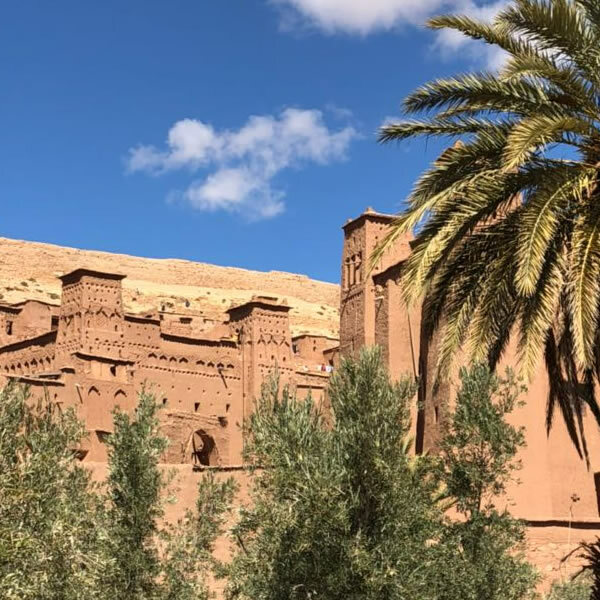 We will leave the hotel at 9 o’clock in the morning to go to the “Thousand Kasbahs.” We will visit there the Glaoui Kasbah and Taourirt in Ouarzazate. We will also have the chance to visit the Amerzgane village. During the drive, we will stop by Agalmous village to rest for a while. We will arrive at Marrakech in the evening.